The Camping World Series returned to action and Johnny Sauter picked up where he left off. 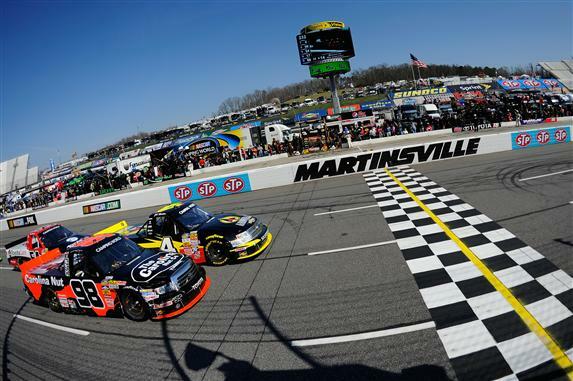 Winter of the series’ first race of the season at Daytona, Sauter won the NASCAR Camping World Truck Series Kroger 250 at Martinsville Speedway in Ridgeway, Virginia. Congratulations to Sauter and the #98 Carolina Nut Co./Curb Records Toyota team.